Women have a complicated relationship with birth control. On one hand, whatever method she uses can help with hormonal imbalances, intense period symptoms, and acne as well as preventing pregnancy. On the other hand, women are expected to be ashamed of their birth control and to keep the fact that they use it on the down low. While all birth control users shouldn't have to be ashamed that they take the pill or whatnot, there are now apps such as Lemonaid, Nurx, and more that allow women to avoid talking in person to their doctor in order to receive prescriptions. 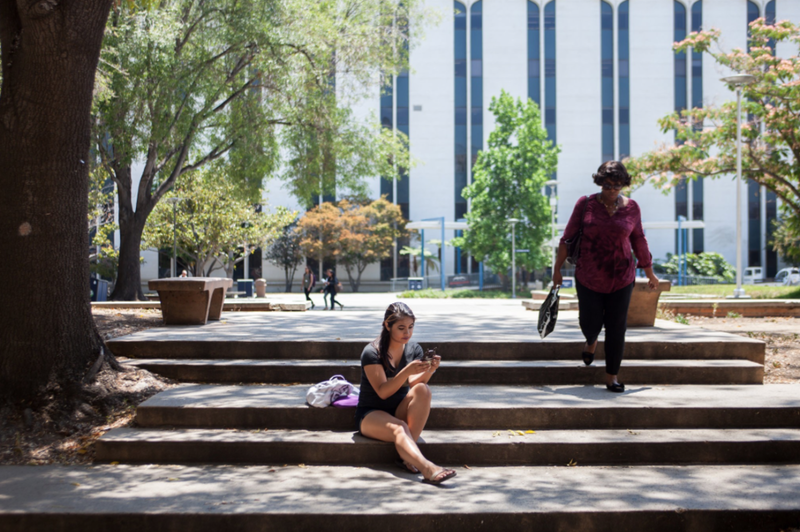 "Birth Control via App Finds Footing Under Political Radar"
Sam Montoya, 21, center, at California State University at Fullerton this month, said she used the app Nurx for birth control because she felt uncomfortable visiting a doctor (Photo by Jessica Pons). A quiet shift is taking place in how women obtain birth control. 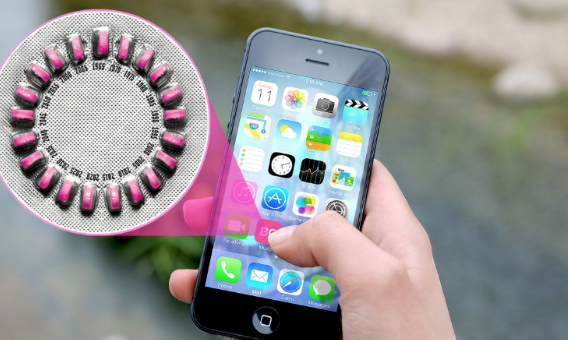 A growing assortment of new apps and websites now make it possible to get prescription contraceptives without going to the doctor. The development has potential to be more than just a convenience for women already on birth control. Public health experts hope it will encourage more to start, or restart, using contraception and help reduce the country’s stubbornly high rate of unintended pregnancies, as well as the rate of abortions. And as apps and websites, rather than legislative proposals or taxpayer-funded programs, the new services have so far sprung up beneath the political radar and grown through word of mouth, with little of the furor that has come to be expected in issues involving reproductive health. At least six digital ventures, by private companies and nonprofits, including Planned Parenthood, now provide prescriptions written by clinicians after women answer questions about their health online or by video. All prescribe birth control pills, and some prescribe patches, rings and morning-after pills. Some ship contraceptives directly to women’s doors. Some accept insurance, including Medicaid for women with low incomes; some charge modest fees. Some send prescriptions to local pharmacies, where women can present their insurance information when picking up the contraceptives. “At first I didn’t believe it,” said Susan Hashem, 24, an auditor in Dearborn, Mich., who wanted to restart birth control pills without missing work for a doctor’s appointment. She noticed an app called Lemonaid. For $15, a doctor reviews a woman’s medical information and sends a pill prescription to a local pharmacy. “I thought it was just a setup to get money,” she said. But after she answered the health questions one evening, “a doctor actually contacted me after office hours,” and the next morning, she picked up three months’ worth of pills. With nearly 40 percent of all pregnancies in the United States unintended, birth control is a critical public health issue. Experts increasingly encourage long-acting contraceptive methods, like intrauterine devices, but usage, while growing, remains low. For short-term methods, visiting the doctor for a prescription can be time-consuming and sometimes costly. For some, like teenagers, it can be intimidating or embarrassing. Efforts to eliminate hurdles to contraception — including the Obama administration’s controversial requirement under the Affordable Care Act that all health plans pay for prescription birth control — have often been met with emotional political and religious opposition. Leaders of the new ventures are aware of their potential for controversy. Peter Ax, chief executive of Prjkt Ruby, started by Kwikmed, an online pharmacy, said his company has received some “inflammatory” letters. “We know groups target us,” posing as customers, lying about their age or other information in attempts to catch the service making mistakes, he said. Many health experts consider hormonal contraceptives safe enough to be sold over the counter. But efforts to make that happen have stirred opposition from some conservatives. And pursuing over-the-counter sales would entail manufacturers undertaking the yearslong application process to the Food and Drug Administration. Women’s groups and others would also seek guarantees that nonprescription birth control would be covered by insurance. 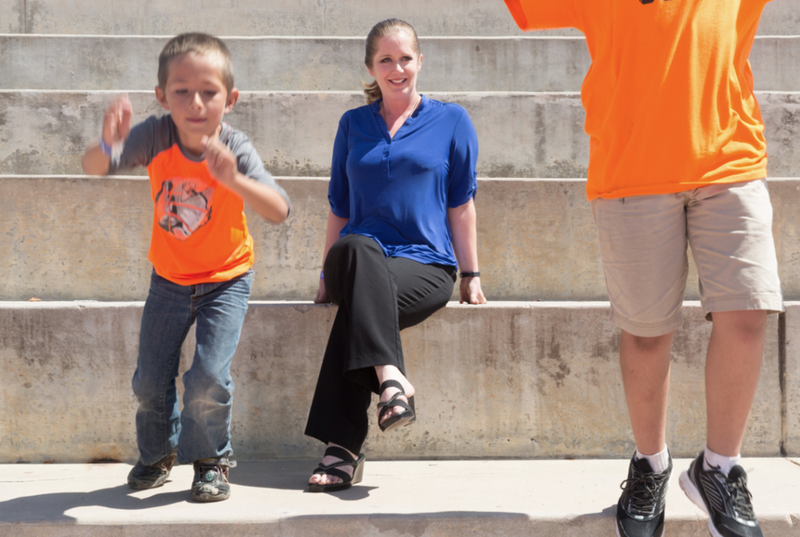 The goal of using an app like Lemonaid is to save time and costly copays, says Jill Atilano, 39, center, in Menifee, Calif., in May, with her sons Michael Atilano, 6, and Hunter Suarez, 13 (Photo by Jaime Kowal). Some states are trying other ways to broaden access, led by California and Oregon, which recently implemented laws allowing pharmacists to prescribe contraceptives in drugstores. But the new websites and apps could reach many more women. They require no legislative approval since clinicians still write the prescriptions. The ventures must follow telemedicine regulations, which vary by state, and can only prescribe in states where their clinicians are licensed. But they are expanding rapidly (some handle nonreproductive health issues too), and now women in most states can use one or more of them. Recently, after a hiatus from birth control pills, she was unsure how to go about getting them again. “It’s so untalked about, like a taboo thing,” she said. While in her geology class, Ms. Montoya checked out Nurx, a web-based appthat offers prescriptions for various contraceptives, obtains them from pharmacies, and ships them to California and New York. The next day, a doctor from Nurx, which accepts insurance, messaged that her chosen brand was not covered by her plan and recommended alternatives. Within three days, her pills arrived. Many ventures hope to avoid controversy by being more restrictive than medically required. While Nurx has prescribed to 13-year-olds, most set older minimum ages. Prjkt Ruby’s minimum age is a state’s age of consent for sexual activity, ranging from 16 to 18. Virtuwell writes prescriptions in 12 states, but only to 18-to-34-year-olds because prescribing to women older than that can involve more complex health considerations. Lemonaid, available in seven states, insists that women 35 and older receive pills containing only progestin, since pills containing estrogen may increase heart risks for some women in that age group. Planned Parenthood Care currently serves Hawaii, Idaho, Minnesota, Washington State and also Alaska, where women in remote locations get the contraceptives delivered by float plane. But many live in urban areas, and Ms. Balderson said the most common place women conduct the video doctor’s visits is “their parked car” during work lunch breaks. (Planned Parenthood Direct, a nonvideo version that sends prescriptions to women’s pharmacies, recently began in California). Some experts committed to expanding contraceptive access, like Dr. Mark DeFrancesco of the American Congress of Obstetricians and Gynecologists, sounded a few cautionary notes. Dr. DeFrancesco, the immediate past president of the group, which endorses making contraceptives nonprescription, praised the services’ convenience, but said he worried that women participating in the brief digital interactions with clinicians might think, “Now, I don’t have to go to a doctor” at all. He added that, since some services do not take insurance, customers may pay fees they would not incur if they had received a prescription during a doctor’s appointment. Some services that do not take insurance have charitable components. Maven, available in most states, charges $18 for 10-minute video appointments with midwives or nurse practitioners, and $35 for appointments with doctors. It donates $1 per visit toward appointments for women with low incomes. Prjkt Ruby donates 25 cents from each $20 pack of pills to a nonprofit providing contraception in developing countries. Some digital customers later decide to visit doctors, as did Kristina Campbell, 31, a mother of two, who used Lemonaid after moving to Lancaster, Pa., “a conservative area where to find a doctor that I even agree with about using birth control was a little bit tough,” she said. Ms. Hashem in Michigan scheduled a face-to-face physician’s appointment because the pills caused her uncomfortable side effects. But for Jill Atilano, 39, a mother of two in Menifee, Calif., who works in a winery, the goal is saving time and costly co-payments. Her general practitioner said for contraception she would need blood work and a visit with a specialist. A version of this article appears in print on June 20, 2016, on Page A1 of the New York edition with the headline: Birth Control Via App Gains Quiet Foothold.